EDIT: At the suggestion of another FTer, I will adjust my reply to include the issue of not just a non-rev but an upgraded pax who may be forced to swap seats. A number of us have already explicitly stated in this thread that we do not want to swap seats with a non-rev. We have stated that we believe they work hard for their passes and deserve to chance to use them and sit in J. On at least 6 TPAC flights since July (on 2 routes in particular), there have been a large number of non-revs (and yes, I have the numbers). Some of them told me how the passes work, and more importantly in terms of this thread, the rules associated with seats. Should a paying customer get a deflated seat, the non-rev is required to give up their seat. And this also applies to those on buddy passes. You don't have to like it and some of us here don't like it. I have been successful at not forcing a non-rev into my broken seat as I explain my view to the SD. In all cases I was thanked for my consideration. I have also lost a few battles with SDs who insist in no uncertain terms, that they are required to move the non-rev out of their seat and put me or any other paid pax into the seat. In one case, I remember the look on the face of the non-rev who was forced to move and he was none to happy. Should we start arguments with the SDs who follow what they believe are the AC Rules & regs? Should our concern for the non-revs getting the craptastic seat trigger someone deciding our refusal to move is a breach of the Aeronautics Act? I will respectfully suggest that you not hint that any of us are lacking in concern for AC employees who are travelling on passes. And to be clear, this isn't a damn lottery. 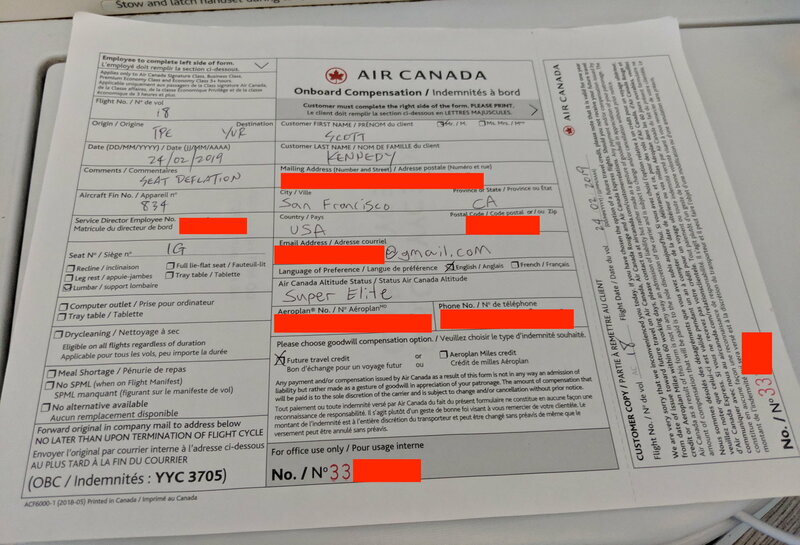 On a related matter, I will also suggest that anyone here who gets the idiotic answer I did recently on a long-haul TPAC - where the "experienced" SD insisted that not only had she never had a deflated seat on any of her flights, she also never handed out a form - not accept this nonsense. Either she is a FA FOTSG or she was intentionally withholding the truth. I also decided to educate her a bit with just some of the things made public here on FT, and she repeatedly said "I was not aware of that". I have no idea what she really knew versus what she claimed, but there is not a single SD who I've flown with in the past year at least, who wasn't aware of this. My view is AC is responsible for this mess by buying these seats, by not acknowledging the problem early on, by some crew denying there is a problem by insisting that your seat is not deflated, by being difficult about compensation (a coupon toward future purchase is not compensation), by having SDs claim they have no knowledge of deflated seats, by accidentally on purpose now having some flights with no white forms loaded, and by not properly communicating the progress of a fix. skybluesea, wrp96, DNAwizard and 1 others like this. I for one won't accept attempted payoff from AC to look the other way despite $1,000 offer for failed seat on YVR-TPE. And while J paid on this trip, upgrade doesn't matter as Eupgrade points just represents volume discount. have long trip to Rome this week so will complete response to outright reject offer, and instead will lay out for AC pending complaint under Competition Act False Advertising provisions, and will seek refund for entire journey as AC packages product as a return trip, but I cannot unilaterally withdraw from this contract citing AC decision to unilaterally withdraw from core component of Signature Service. Will also indicate to AC scope of parallel complaint to Advertising Standards Council. folks, AC will do nothing until it seriously hurts their pocketbook (and one full refund won't do it) - bringing mattresses, arguing with SDs, accepting park bench at J prices, or even accepting trifling compensation is exactly what AC is willing to trade off as it costs far less to deal with this, then do system fix. you may be question/disagree with this statement - but for those of you willing to accept this mis-treatment, you are enabling AC. and with some +1,200 posts, who here thinks any of this caterwauling is a tiny bit effective? A number of us have already explicitly stated in this thread that we do to want to swap seats with a non-rev. We have stated that we believe they work hard for their passes and deserve to chance to use them and sit in J.
I can understand asking a non-rev passenger to swap seats, but to me, there's an ethical issue with transferring your problem to another paying passenger, whether or not they upgraded. That upgraded seat came at a high cost in terms of previous flying, and is in effect, also 'paid J'. Update: Seatback deflated again before the doors have even closed. Update 2: Crew (led by very friendly and proactive SD Janine) offered to move me to 11D. Unfortunately, 11D also has a deflated back. Janine then offered to move an employee seated in 9G, but I did not want to trouble the gentleman. It's a daytime flight so I can manage. On a related matter, I will also suggest that anyone here who gets the idiotic answer I did recently on a long-haul TPAC - where the "experienced" SD insisted that not only had she never had a deflated seat on any of her flights, she also never handed out a form - to be full of it. Either she is a FA FOTSG or she was intentionally withholding the truth. I also decided to educate her a bit with just some of the things made public here on FT, and she repeatedly said "I was not aware of that". I have no idea what she really knew versus what she claimed, but there is not a single SD who I've flown with in the past year at least, who wasn't aware of this. At that point, Janine proactively offered me the onboard compensation form. 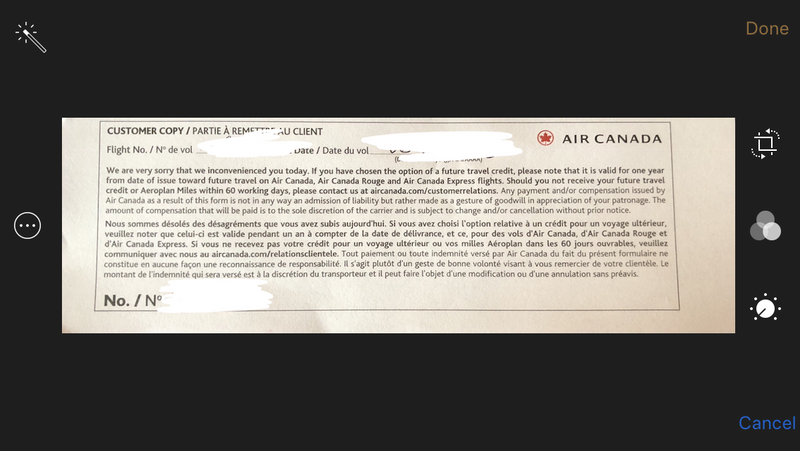 Moreover, she apologized profusely and inquired whether Air Canada has been communicating this issue to SE members. I shared some honest feedback: I encounter #deflategate all the time, and the reaction from cabin crews has been very inconsistent. Some crew, like her, are proactive and apologetic and do everything they can to try to make things right, up to and including moving non-rev passengers and offering the compensation form. Others, on the other hand, act like they've never heard of this issue and trying to get a compensation form is more painful than pulling teeth. I pondered whether there's a 'corporate' directive to avoid handing out forms if possible. Janine assured me that's not the case. In fact, according to her, they've been instructed to do the opposite: To be very upfront and responsive in addressing this issue. Whether or not that's the case, Janine is certainly embracing that mindset. Yes I did and was impressed and should have said so earlier. You were lucky to fly with Janine. I was lucky to fly with a series of SDs who showed concern and compassion for all of us on those flights with deflated and broken seats (seats that open flat and do not close, seats that get stuck in a certain position, IFE that does not work and in many cases, resets to all of the did not work as well). However, like many here, I read all the posts this thread. 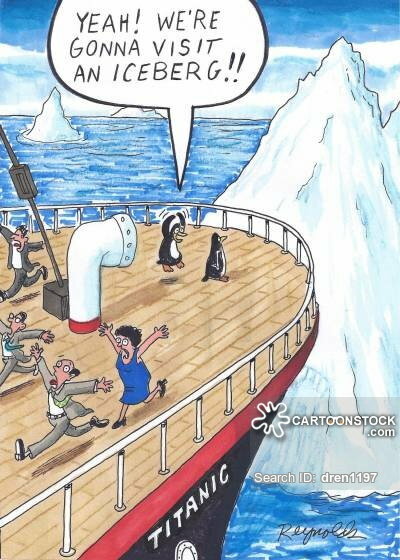 I read all of the texts and emails I receive from other FTers and those not on FT who are experiencing the deflated seats and other failures in cabin service and concierge services. Many are disheartened. Some are just fed up. Some have altered their flying to avoid AC where possible, etc. It is not an option for many and this has been explained repeatedly. You need to move on from this point and stop lecturing those who still need to fly, those who still need to fly AC and those who still choose to fly AC. I can understand asking a non-rev passenger to swap seats, but to me, there's an ethical issue with transferring your problem to another paying passenger, whether or not they upgraded. You are correct, but the ethical issue here is not mine, it's ACs. How can AC have any ethics when after five years they continue to sell (and promote) a knowingly defective product? How can AC have any ethics wrt customer service when they sometimes treat impacted pax and liars or moaners? And how can they have any ethics if they attempt guilt these impacted pax by making them feel bad about another 'value customer' getting moved? There's nothing remotely ethical about ACs behavior on this issue. It may not have been your intent, but to me, your statement just reads as victim blaming, either by you*, AC or perhaps both. *And No, I don't mean the collective 'you' in this case. Last edited by Bohemian1; Mar 2, 19 at 6:02 pm Reason: Spelling. Two deflated seats on AC2103 (down gauged AC 103) YYZ-YVR yesterday. C-FIUV, FIN #736 . I didn't get the seat numbers but one looked like 4K. I wasn't impacted, but two other pax had the constant deflate / reset / inflate / deflate cycle going. I offered up my inflatable orange friend to one of them, but the offer was declined. Our SD (Sarah) did the right thing and offered them comp. But oddly enough she asked them to wait until we landed. It may have been due to her wanting to get the 50+ connecting pax off a one hour delayed flight along their merry way. I was told roughly the same order, and I feel invoking a seat change after being first to board would he alot less confrontational than after a nonrev settles in. 4hr flight not a big deal, 16hr flight huge deal. Heck, yesterday we 'lost' seat 7G7K. The concierge told us they were just talking about us and needed us to switch with a nonrev since one of the seats was broken and would not go to a lie flat position. Hmm, maybe we were the ones trading TO broken seats. truly remarkable folks would rather argue with each other than do anything meaningful? and anybody wonder why AC does nothing about this? This cartoon about right about this particular Thread. Don't assume FTers or others AREN'T doing anything meaningful. I think many are, and are choosing not to post about it on a public forum. No one is under the illusion AC is doing nothing. It is just open to interpretation whether what they are doing is of any value or making any progress towards a permanent fix. Doesn't change the objective of this thread or these reports. IMHO, your cartoon misses the point about the discussion in this thread. Everyone is entitled to post their opinion and experience. Others are free to file suit, others are free to file with the gov for false advertising, others can do chargebacks, others can walk back to the gate if they board and their seat is deflated, non-operational or otherwise, not in the condition it should be for a 15 hour flight. And some can fly other airlines. My comment today wasn't about switching flying from AC, it was about swapping defective seats with other passengers. Please feel free re-read it. How can AC have any ethics when after five years they continue to sell (and promote) a knowingly defective product? How can AC have any ethics wrt customer service when they sometimes treat impacted pax and lairs or moaners? And how can they have any ethics if they attempt guilt these impacted pax by making them feel bad about another 'value customer' getting moved? There's nothing remotely ethical about ACs behavior on this issue. I think you're replying to something I didn't write. I'm not debating the ethics of Air Canada conducting five years of continued business offering defective seats for sale. I think our opinions on the matter align. I specifically wrote about the ethics of swapping seats with another passenger. I'm confused about the 'victim blaming' interpretation. There's no fault attached to any customer sitting down to find themselves on a flat seat. Nor if he or she accepts an offer to switch out with an employee to a padded seat for the flight. Again to ensure clarity, I raised the point of the ethics (note: no fault or blame is implied) of swapping a defective seat with an upgraded passenger with a fully functional seat. If you, collectively, personally, whatever, used your upgrades for yourself or your partner to score a nice Signature Suite flight across an ocean, and some other passenger has the SD tap you on your shoulder to 'shift thy buttocks to the park bench if you'd be so kind, sir', I wonder how the perspective might alter. Any blame for the deflate debacle is to be shared by the airline and the seat manufacturer. Still, some travellers are going to unwillingly draw a short straw on any given flight. I question the need to transfer that misfortune to fellow customers. There is a problem between passenger and airline that requires resolution (during or sometime after the flight). I believe successful resolve should not come at the expense of a third party. There is no doubt that AC is aware of the issue. The numerous coupons and entries in the log book, along with the anecdotal experience of maintenance coming in to swap out lumbar supports illustrates they know this is an issue. The real question, we as FTers are asking, is whether AC is doing enough for their most high value customers to address this issue. There's a big difference between taking a year to address the issue than taking 10 years to do so even if the outcome is ultimately the same. In addition, not everyone has the luxury to fly OAL for a multitude of reasons. I must however, say that it would be nice if we as a community had a unified response to address this issue rather than to try out own separate approaches (i.e. bringing tents, filing law suits, putting AC on notice with the competition bureau, etc.). Given the sheer number of people who have experience this issue on this thread, I suspect the outpouring we give of a unified response will be far greater than if AC gets CBC'd on the issue! While you replied to both of us, my original post 1216 was a direct reply to you. I edited it because another FTer pointed out that I missed something in your post. In addition to addressing the part about swapping with an upgraded pax, I added other comments. And yet, in your reply to @Bohemian1, you repeat your point about swapping with another paying customer (upgraded). You should re-read my post about the rules and order of musical chairs as provided to me by multiple AC employees. You don't have to agree with the process, and you can certainly feel it is unethical to boot another "paying" pax from their seats. Since none of us who paid for deflated seats are in the position to always argue with cabin crew, lest we be considered a problem pax, it is not always up to any of us to decide who gets tossed out of their seats when pax get deflated seats. If the seat was truly not operational then they would follow that order to downgrade whomever needed. It happens and it’s uncomfortable if you know the person for example. This isn’t that much different. Having said that, I find it very unpleasant to have it happen and usually offer to put up with it with padding and a coupon. At least until I was actually accused of trying to game the system to get a coupon. So I swapped and apologized and wrote in in high dudgeon. wrp96 and 24left like this. I'm not asking about the order of swapping seats, 24, I'm asking about the ethics of doing so. Perhaps you feel that swapping out of a deflated seat is mandatory. It is not. There are no ethical issues if you decide to stay in your assigned seat and not to "boot" or "toss" another person from their functioning seat. There are no risks of running afoul of cabin crew if you stay in your assigned seat and don't request to "boot" or "toss" another person from their functioning seat. The rules of musical chairs was noted. But they don't apply if you...wait for it...stay in your assigned seat and don't decide to "boot" or "toss" another person from their functioning seat. I do not feel it is mandatory and if you read my previous posts, you'll know that some SDs force us out of our stay-flats (claiming these are the rules), while other SDs are more willing to accept that we prefer not to toss anyone else out of their seats. And there are absolutely consequences of running afoul of cabin crew. Few of us are willing to test that however. All times are GMT -6. The time now is 4:40 pm.